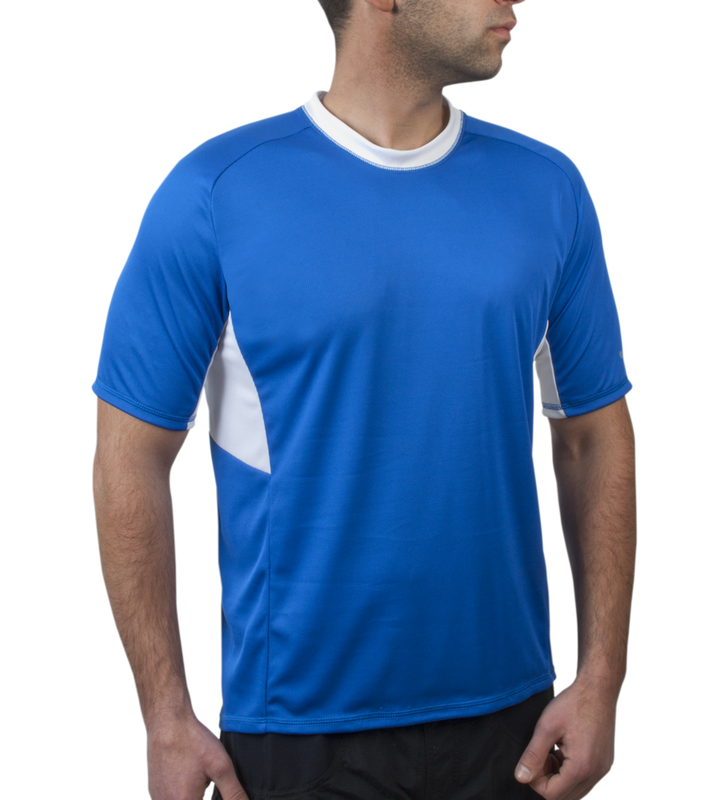 Designer Cycling Tee has supremely soft coolmax fabric with rich, soft texture. Very modern looking with tailored design lines. Fits like a dream. CoolMax - made by Invista, is a tetra - channel polyester, which pulls, or "wicks", moisture away from your skin to the outer layer of the fabric. 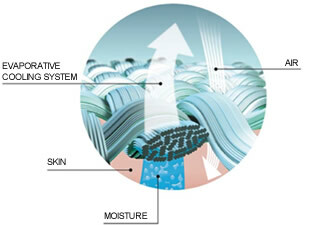 Because of the larger surface area of the tetra - channel fiber, moisture evaporates quickly. So, you stay dry and comfortable. CoolMax fabric is also highly breathable and easy to care for. It is used in a variety of apparel, sports accessories and medical wraps. Close-up of four-channel fiber used in CoolMax fabric. Channels speed moisture to outer surface of the fabric. I bought it for my daughters boyfriend, he said it was very tight and not comfortable for that reason. He will return it and may purchase a different size. The shirt is great. Fits well. It's long as extra long should be. Very happy. Great shirt - whish I had bought one size larger. It seems that everything aerotech makes fits smaller than other clothes I buy on Big & Tall clothing sites. Other than wishing I had purchased a larger size, it's a great cycling shirt. The Coolmax fabric is great on the trail/road and in the gym, specifically for moisture wicking and basic comfort through a workout. At 6'5" with an athletic build (185lbs), I found the fit and sizing a bit awkward. I had to size down to Medium to get a comfortable slim-ish fit through the chest and torso for both this T and the "Coolmax Cycling Jersey" - well worth figuring that out for the great extra length in the torso. The problem with this T is the oddly long sleeves. Regardless of what I'm doing in the gym - treadmill, stationary bike, weight routine - the sleeves feel very restrictive for a lot of simple motions. 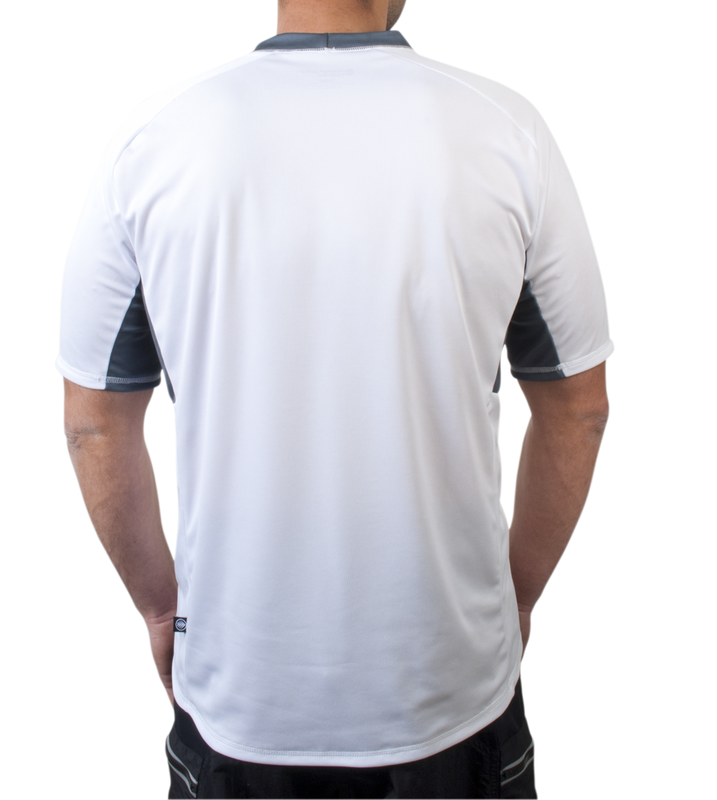 Maybe on the trail this wouldn't be such an issue, but this T doesn't come with the zipper collar and back pockets that the cycling jersey does, so I'm not entirely clear on the purpose of this T if not for the gym or other non-bike specific activities. Really is for a tall man! I use these shirts when I hit the trails. While not a cycling jersey I do love the way they fit. Comfortable fit around the neck and more than enough room to move around while on the saddle.||I think this shirt needs to come more colors would love to see the safetyhi viz colors and possibly long sleeve version for cool weather riding.